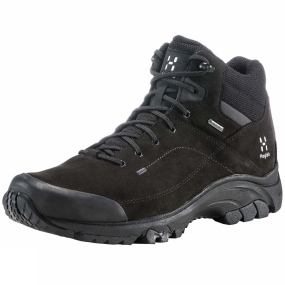 The Mens Ridge Mid GT Boot from Haglof gives amazing grip over any terrain, with reinforced rubber toes and heels for added protection. The mid-cut design provides extra support. Smart material choices and innovative tweaks give an unbeatably reliable, waterproof shoe, already a classic in the range.